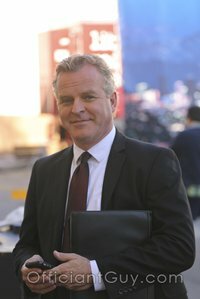 I have been a very busy wedding officiant throughout Los Angeles County for many years and I have officiated countless weddings in wedding venues all over Los Angeles and Orange Counties, including in charming San Pedro. Some the ceremonies at which I was the wedding officiant were at the 22nd Street Landing Seafood Grill & Bar. A classic waterfront fish house and a South Bay favorite. Lots of wood, arched windows, marble counters and brass rails give it a San Francisco look. The restaurant overlooks the Cabrillo Marina and 30 large deep-sea fishing and sport diving boats which depart in front of the restaurant. A large banquet room, located at the far end of the restaurant, can accommodate a large party of up to 70 guests (minimum 30). This room has a full view of the marina and a private patio. For a cocktail wedding reception, there is a bar that seats up to 30 guests (minimum 14). A private deck can also host an additional 20 guests. While your guests are enjoying their wonderful meal they can enjoy watching the sea lions and pelicans compete for fish scraps and leftover bait as the boats return to their berths. When you are planning your wedding in San Pedro or anywhere else in Los Angeles or Orange County you should strongly consider choosing 22nd Street Landing Seafood Grill & Bar. 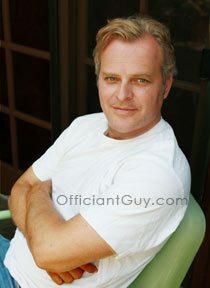 As a very popular wedding minister, the Officiant Guy would love to be your wedding officiant.